JUNE BULLETIN - Get Jumping in June! 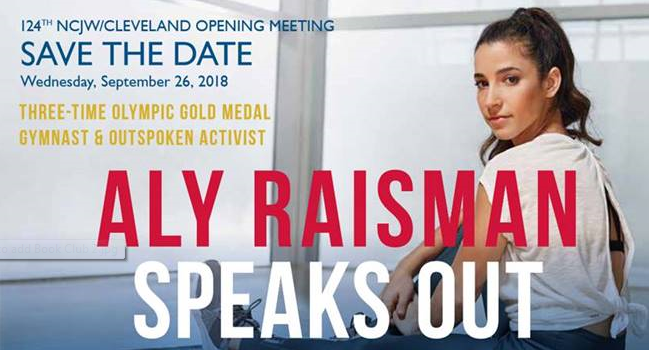 Gold medal gymnast and activist Aly Raisman will headline our Fall Opening Meeting. The event includes a sit-down lunch and candid conversation with Raisman, moderated by Laurel’s Head of School, Ann Klotz. Raisman will talk about her journey as an athlete, outspoken activist and now author of Fierce , an inspiring story of dedication, perseverance, and learning to think positively even in the toughest times. Invitations to come. Limited seating; pre-registration for members only will be available. BE THE VOICE. SEE THE CHANGE. 124 years and still going strong ! In June, we will thank our wonderful outgoing Co-Presidents Myrna Arlen Bloch and Susie Gordon and welcome new NCJW/Cleveland President Elaine Geller as she and her officers are installed. 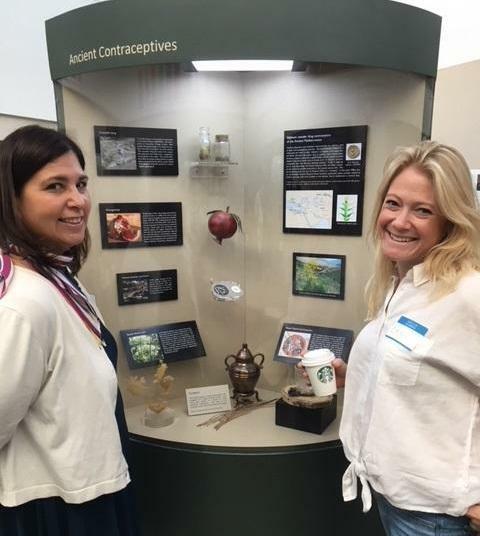 RSVP: Click Here to register online or call Lisa at the NCJW office at 216-378-2204 by June 6.
to serve women, children and families locally, nationally and in Israel. Marched for our kids to demand gun violence reduction. Taught people about the dangers of social media and how to protect our children and grandchildren. Became the first Jewish organization in the country to join forces with The Open Table, a national model that keeps people out of poverty through group mentoring. Continue sending Action Alerts for those interested in making their voice heard. Your support allows us to do these things and much more! THANK YOU! What are the issues? Who stands for what? Who funds whom? What do the experts forecast? Why does it matter? The experts tell all! Great line-up of speakers: Karen Kasler , Statehouse Bureau Chief, Ohio Public Radio and TV; Brent Larkin , Plain Dealer Columnist covering politics ; and John Corlett , President and Executive Director for Community Solutions. Anshe Chesed Fairmount Temple will be a partner in this event. Attendees will receive a handout describing the specific positions and ratings of all of the candidates to help you make educated decisions in November! ---CANCELLED--- THE BOOK CLUB WILL NOT BE MEETING JUNE 7 AS PLANNED. 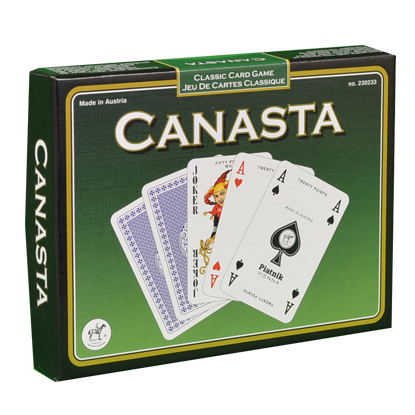 Canasta is a fun and challenging card game, combining luck and skill. It is easy to learn and very social. Instructor Ellen Rabb will lead 3 beginner's sessions. The classes are open to all, being held in the evenings to accommodate our members and their friends/spouses. Canasta is played with partners, so bring a partner, or we will match you up. Let’s play! The classes are limited to 16 participants. Registration is required. You may sign up for 1, 2 or 3 classes. Drop off donations at the NCJW Warehouse, Monday - Friday, 9:00 am - 4:00 pm, 26055 Emery Rd., Warrensville Hts. Call for a free furniture pickup at 216-378-2264. Shop at Thriftique Thursday - Saturday 10:00 am - 5:00 pm, 5055 Richmond Rd., Bedford Hts. Note: We are always looking for VOLUNTEERS . Contact Becky Brouman at rbrouman@ncjwcleveland.org or 216-378-2204, ext. 105 if you are interested. Issue 1, the bi-partisan effort for fair districts to end gerrymandering overwhelmingly passed! 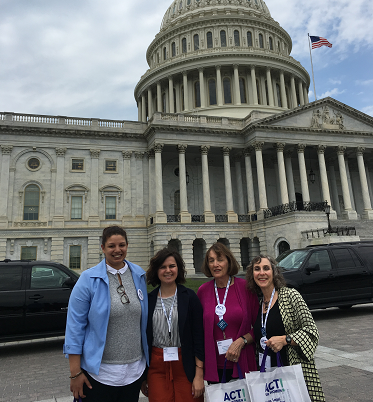 NCJW is proud to be part of such an effective coalition. Congrats and thanks to all who helped. We still need to remain vigilant on implementation and will keep everyone posted. Our work is not done. Voter registration is critical! 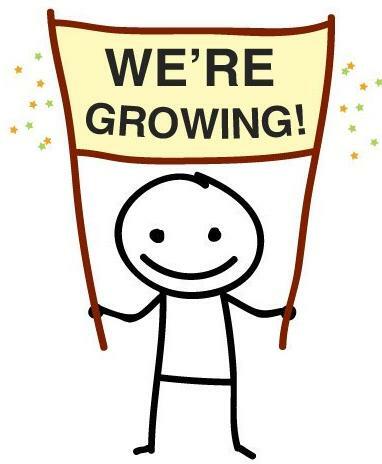 Please contact Rita Rome at ritacrome@gmail.com or Barbara Friedman Yaksic at bfyaksic@sbcglobal.net or 216-403-1142, and we will let you know of upcoming Northeast Ohio Voter Advocates (NOVA) training dates. The Purple Project Conference draws foster youth from around the state to attend workshops and learn about resources as they prepare to age out of the system. 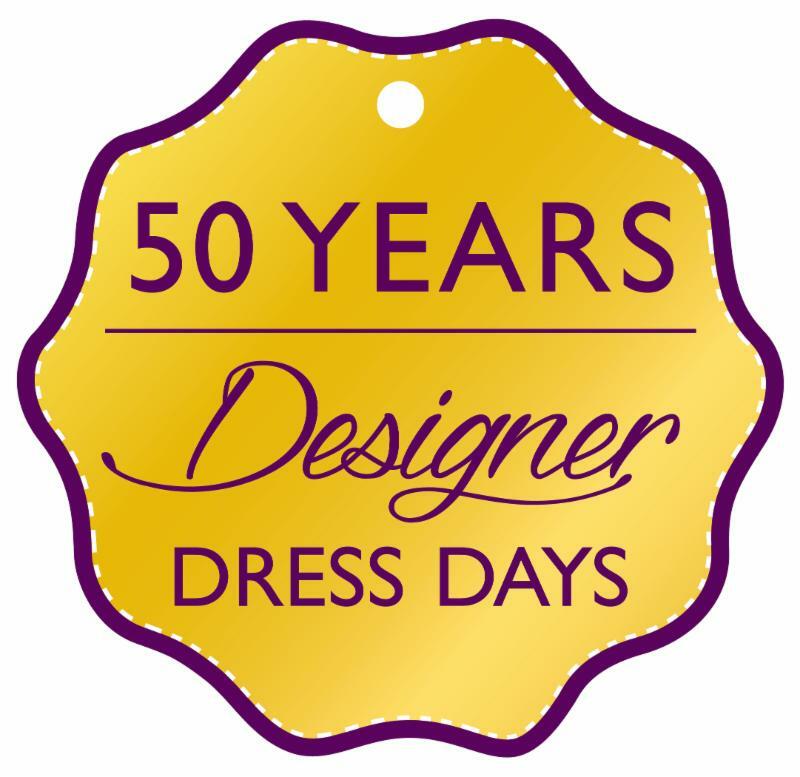 RSVP: Jeannie Citerman-Kraeger at jeannieck@aol.com to be included. WANT TO DO SOMETHING TO REDUCE GUN VIOLENCE? contact Susan Reis at sixreis@gmail.com or 216-570-1192. 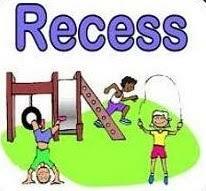 Did you know that 42% of schools no longer have recess? That means that many kids in Cleveland are not getting the physical release or outdoor stimulus we all grew up with. And some have never even played dodgeball. That’s why NCJW/Cleveland is hosting this important and fun pop-up recess event with Recess Cleveland, for communities in the Shaker Heights/Larchmere/Fairhill area. Here’s where you come in! We need young professionals to volunteer to run the games, to help with registration, and to interact with the families. At the event, there will be traditional inter-generational recess activities like kickball and dodgeball as well as cool, creative ones like bubble soccer, where players wear inflatable bubbles and safely bounce off one another. Click Here to see bubble soccer in action. 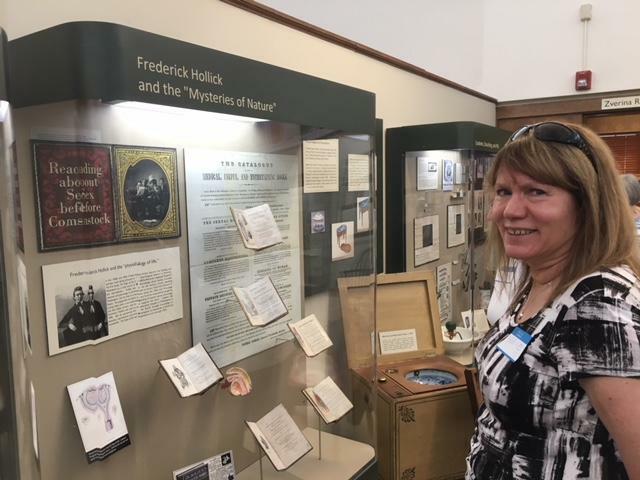 RSVP/questions: Contact Becky Brouman , Director of Volunteers, Community & Program Development at rbrouman@ncjwcleveland.org or 216-378-2204 ext 105. Volunteer for the Reader’s Theater, a short-term, interactive theater and literacy program for fourth-grade students throughout the area. No theater experience necessary. We will train you! Groups meet once a week for three weeks, performing for their classmates at the final meeting. 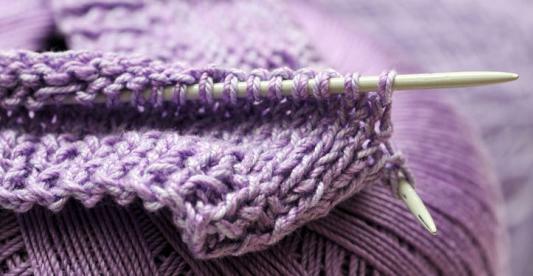 This is a “ sometimes ” project that can work well with a busy schedule. Once you try it, you’ll be hooked! Are you interested in working with fifth-grade girls as they learn to navigate great books and responsibility to a group? Pair with two other volunteers and 6-8 students and meet monthly during lunch to discuss high-interest books over lunch. Mandatory training provided over the summer. BRING YOUR GENTLY USED SCHOOL SUPPLIES! 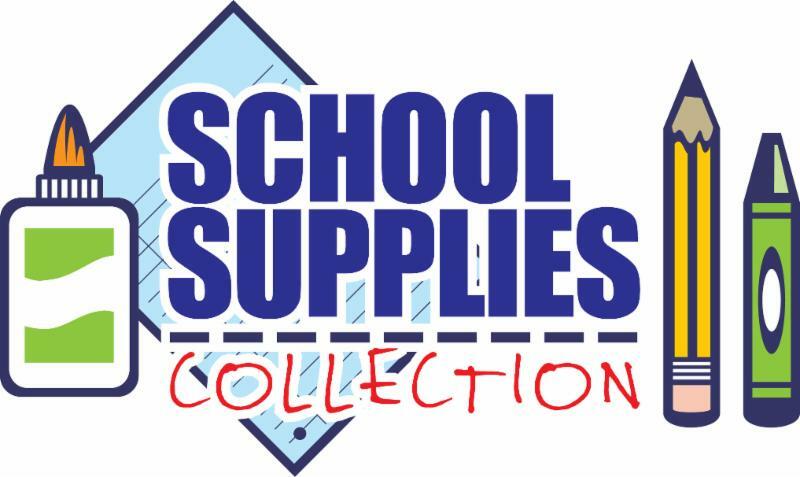 The teachers at the schools we work with could use your “gently used” school supplies as backups in their classrooms! Bring them to NCJW and we will gladly hold them until August, then give them to teachers in economically disadvantaged areas to provide to students who can’t buy new school supplies each fall. Join our fun and talented group. We work tirelessly to provide warm clothing, blankets and comfort toys to many organizations who distribute them to families and children who are in need. Place: NCJW Warehouse H, 26055 Emery Rd., Warrensville Hts. We’ve been selling for 50 years. That’s a milestone worth our cheers. We lean upon your great donations. Free People, St. John or in between. Dresses -- floral, print and teal. They’ll go to Thriftique, where they will make hay. A happening that’s heaven sent. We cannot ask for anything more!